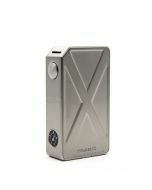 The Tesla Invader III Box Mod is the perfect balance between high power, aesthetics and ergonomics. Capable of generating 240 watts, pairing with a resistance as low as 0.1 is no problem. 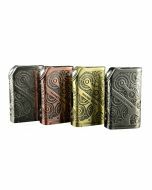 With 3 high-tech finishes available, this box mod will definitely outshine the competition. 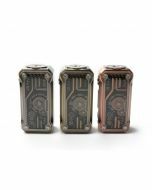 The Tesla Invader III uses dual 18650 batteries in series and an advanced proprietary chipset to generate high power, to protect against short-circuits and reverse connections to ensure the perfect vape experience. 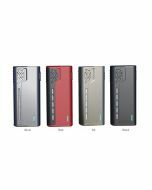 240W ADJUSTABLE BOX MOD: With the advanced Tesla proprietary chipset, users will receive instant feedback upon firing the box mod. Utilizing dual 18650 batteries in series configuration, users can actually generate power up to 240 watts. Even can exceed 240 watts when use higher power battery. 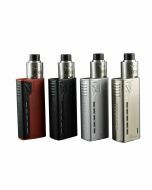 STRUCTURE DESIGN: The Tesla Invader III is designed to be stylish and ergonomic to ensure the perfect vape experience. It is a Beast you don't want to mess with. This device is perfect for those who enjoy using low resistance RDAs and some low resistance tanks with lots of airflow. POTENTIOMETER: The potentiometer control knob is for voltage adjustment. You can rotate it from I to V to choose the power. The voltage regulation range is 3.6-6.6V. THE BLUE LIGHT: When users fire the Tesla Invader III, the blue light will activate. Errors such as low battery voltage, reaching the puff cutoff, or a short-circuit will make the blue light flash. 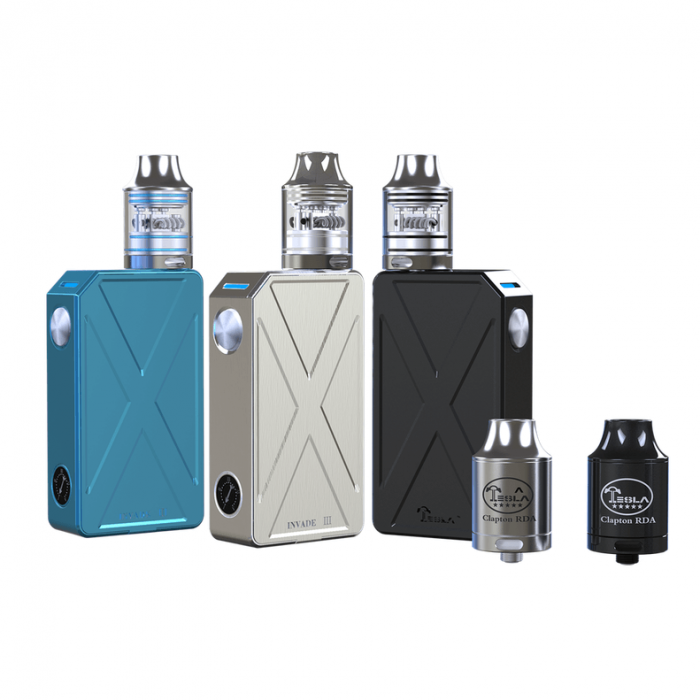 BEST FOR HI-WATT TANK/RDD: Tesla invader III is suitable for all atomizers. From sub-ohm tanks that require high wattage to atomizers that focus more on flavor, it is the perfect device. Also, any 22-24mm atomizer will look great on this mod! HI-TECH COMPOSITE FINISH: The Tesla Invader III is available in 3 colors and 2 high-tech finishes. The SS color: Advanced drawbench+vacuum UV craft for a scratch resistance finish. The Blue & Black colors: Premium high temperature baked finish for a superior glossy shine. MAGNETIC COVER: The Tesla invader III uses a specially designed magnetic battery cover. This makes it easy to swap out batteries when they are dead. The magnet is strong enough to prevent the cover from coming off unintentionally. VARIOUS PROTECTIONS: The Tesla Invader III offers various kinds of protections to ensure user safety. When you are going through protection, try to make it work correctly.